As the colder months creep up on us, we have things to look forward to like bundling up with extra layers, the loss of daylight far sooner than the rest of the year, and holidays that come with a free pass to eat just about anything you want, free of judgment. However, with the abundance of food that is sure to come, it’s hard to know what’s healthy and what isn’t. Of course, gorging on turkey, pumpkin pie and stuffing, isn’t the healthiest path that you can take; also, the little snacks and delectable treats pose a threat to us as well. We are often fooled into a false sense of security with even the seemingly healthy snacks during this time of year. 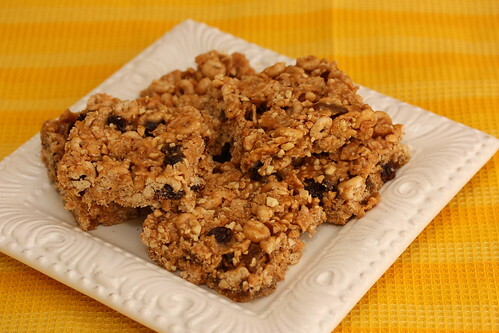 One of the biggest culprits that we encounter, all without really realizing the ramifications a handful of them can have on our health, is the delicious oatmeal cookie. Because its made from oatmeal, and has healthy raisins or others additions tucked right in, we simply assume that it’s not as dangerous to our health as say, a cookie filled with chocolate, sugar and buttery cream filling. As correct as this notion is, it’s also not wise to overlook just how that oatmeal cookie is affecting our health. When it comes to looking at the dietary information, oatmeal cookies do have far fewer calories and fats, and include more healthy protein than the ever-popular peanut butter or sugar cookies. Sadly though, even these facts don’t make oatmeal cookies the healthiest option. The difference in calorie content, fat, fiber and sometimes sugar, between the oatmeal cookie and any other run-of-the-mill cookie, is marginal at best. Outweighing most other cookies in the calcium department is really its only draw. Regular consumption of oats is known for the vast improvement of things in our overall health, such as digestive health, insulin sensitivity and heart function. A diet full of healthy grains is necessary to meet daily recommended requirements for particular nutrients, but oftentimes in the form of a cookie, other negative health effects tag along too. Provided that the oatmeal cookies are made from scratch, they can be whittled down into a healthy snack, if consumed in small amounts. The addition of dried fruits like raisins, which are a popular choice, can increase the levels of iron and potassium within the body. The use of flax seed, or even whole-wheat flour, helps to lower the amount of sugar found in the treats. Knowing which ingredients to include, and which to take out or substitute for, can make a world of difference when making snacks like these over the holidays. Eliminating the traditional ingredients and going with a healthier alternative can still make the traditional treats tasty. This entry was posted in Blog and tagged Nutrition. Bookmark the permalink.